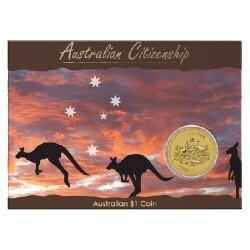 2019 $1 Australian Citizenship Uncirculated Coin in Card. 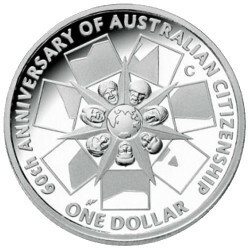 The Perth Mint has just released its annual 2019 Australian Citizenship $1 coin. 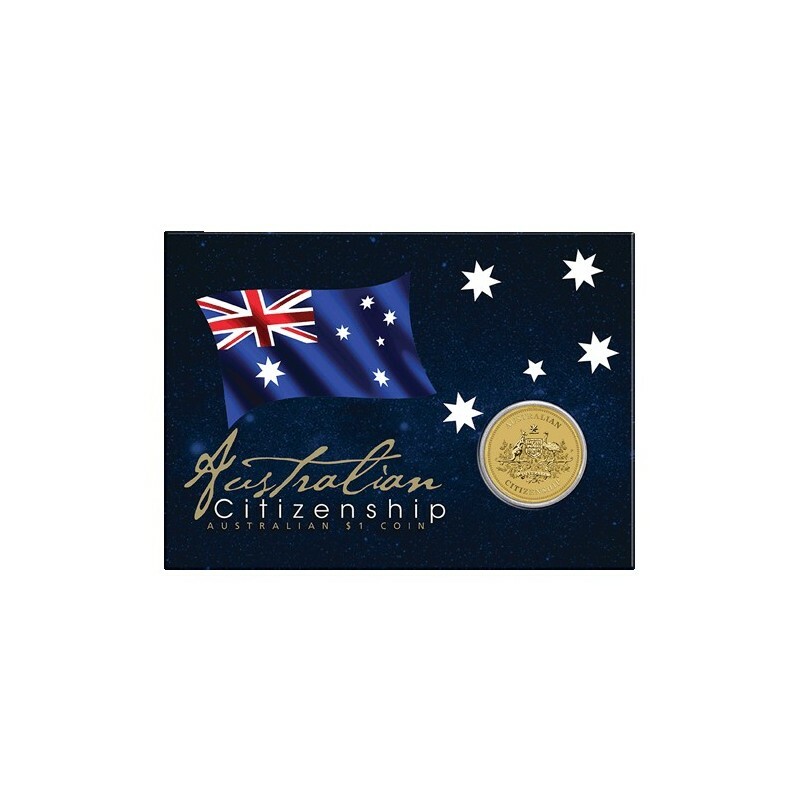 Becoming an Australia citizen is a once-in-a-lifetime occasion, a chance to celebrate Australia's diversity and at the same time, strive for a unified and harmonious nation. 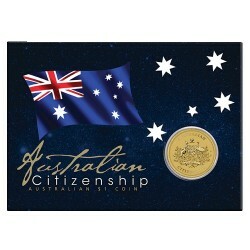 Top off your citizenship celebrations with this wonderful keepsake. 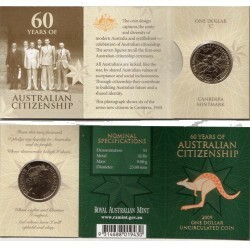 This coin is struck by The Perth Mint from aluminium bronze, and is issued as legal tender under the Australian Currency Act 1965, and has an unlimited mintage. 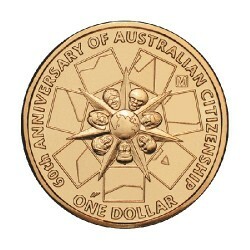 The coin’s reverse features the Australian Commonwealth Coat of Arms, accompanied by the words AUSTRALIAN and CITIZENSHIP. The Coat of Arms consists of the badges of the six States of the Commonwealth on a shield enclosed by an ermine border signifying Australian Federation in 1901. The coin’s obverse features the new Jody Clark effigy of Her Majesty Queen Elizabeth II, the monetary denomination and 2019 year-date. 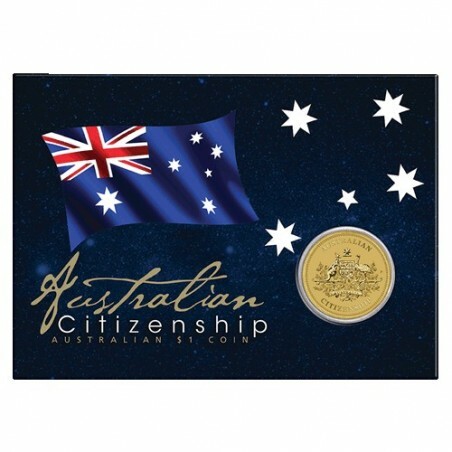 Presented in a color presentation card, which incorporates a Certificate of Authenticity and features a fold-out stand for upright display, this Australian collectable is the perfect keepsake or gift to celebrate becoming an Australian citizen.